Jarod began at SAGE in 2005 as a sales representative. In his current role as the Director of Business Development, he handles all relationships with SAGE’s largest clients, regional associations, and other partnerships. Jarod has served on multiple committees as a PPAI volunteer, and helped plan a number of PPAS Holiday Party’s before joining the PPAS board two years ago. In his spare time he loves traveling abroad, playing golf, fishing, camping, and spending time with friends and family. Mark Corscadden has been a promotional product advocate since 1990, when grunge music was the fidget spinner of the music world. His passion for this industry and the relationships he has made, is his driving force. It is these relationships that he cherishes the most. Products come and go, but friendships last a lifetime. He currently has the pleasure working with the talented team at Dei Rossi Marketing in McKinney, Texas. Mark is married to his wife of 25 years, Kristen. They have two children, Aubrey (17) and Brody (14). Steve has had a wide and interesting journey in our industry since his start with Molenaar 20 years ago. Going from retail to this market was like going from darkness to daylight according to him. He enjoys the creativity, the opportunities and most of all, the people. Every day has been different and each day brings a new challenge. He was part of a team that included both inside and outside reps plus MLRs at Molenaar and as VP Sales helped modernize the line. After a brief stint at Quickpoint, he was fortunate to join an industry start up, RiteLine LLC.. Starting from an idea RiteLine is now recognized as the freshest, most creatively designed writing instrument supplier in the industry. Steve has been very active as a volunteer in the industry serving on many committees, regionally and nationally and was President of UMAPP in 2009. He was given the unique opportunity in 2012 to be PPAI’s Chairman of the Board and encourages all of you to volunteer either in, or out of the industry. Working with others, you can move mountains! 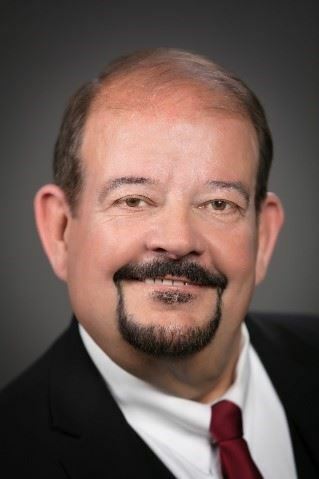 Tom Carpenter, MAS is a 20+ year industry veteran who currently serves Fey Promotional Products Group as National Accounts Manager, also covering the states of TX, LA and OK. Tom's volunteer service includes: Past president PPAS, PAST RAC Delegate to the PPAI Board, RAC Board Member District IV, RAC Board Delegate and current PPAS Board Treasurer and Secretary. Regional Vice President with HALO Branded Solutions. Former Director of National Accounts with HUB Pen Company and past VP of National Accounts with BIC Graphic. Father of two Daughters. One graduate of Dallas Baptist University and the other a Junior at University of North Texas. Married to Carol for 31 years. Bringing her organizational skills and corporate knowledge with her, Susan now has 20+ years in the industry making her a powerhouse advocate for her clients. Her extensive knowledge of the industry and its processes makes her a valuable asset to any marketing team. Susan handles her customer’s project as if they were her own and pro-actively communicates from beginning to end. Customer service is her strength. Susan’s time away from work is filled with family – a daughter and son-in-law and two beautiful granddaughters. She is also an advocate for children and animals and often volunteers her time to organizations that help both. I am a wife and a mother to 1 little girl. I love to travel even in my spare time and I am a huge animal lover of all kinds.